Get the interesting ideas on how to arrange a bedroom with a lot of windows. Too many windows in the bedroom can create distraction. You will be uncomfortable to take a nap in the afternoon if the intensity of sunlight is too harsh. The arrangement of the furniture pieces, decorative accessories and window treatment will determine the comfort inside the bedroom with a lot of windows. Thus, the windows will not be seen as a disturbing element. They are viewed as amazing elements in the bedroom. Here are some ideas to note when you want to arrange the bedroom with several windows. Assess the location of the windows. The windows can be used as the extension of the headboard. You just have to put the bed frame below the biggest window. Thus, the bed frame can serve as the focal point in the room. You can create a dramatic impact with a bed frame under the magnificent windows. If the window is too simple, you can add decorative element by using a fabric curtain or magnificent valances. If the presence of many windows in the bedroom interrupts the comfort, you can cover them using the wardrobe, bedroom cabinet or dresser. 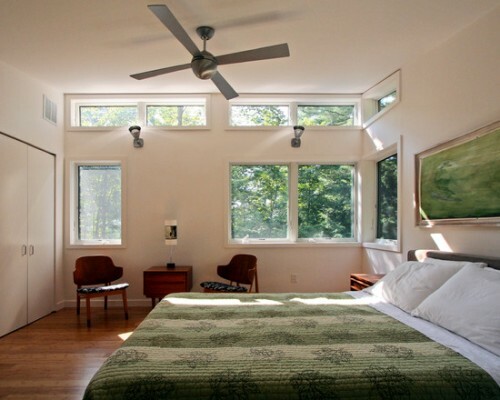 The other windows can be exposed so that you can have the warm sunlight and fresh air flowing in the bedroom. There are many types of curtains that you can get in the store. You have to choose the suitable one which can complement the bedroom décor without leaving its function. If the bedroom only receives moderate amount of sunlight, you can install a thin and sheer curtain. The blackout curtain is nice if the sunlight is too harsh and disturbing. You can install the heavy linen from floor to ceiling. 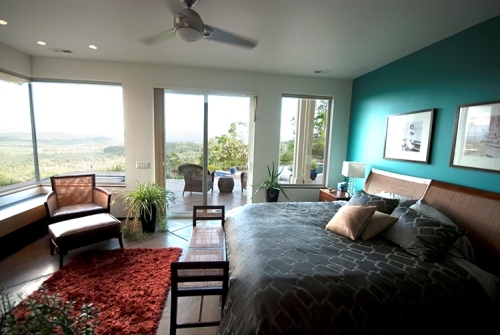 Check ways on how to arrange a bedroom with a large window here. The bedroom with a lot of windows will look professional if you have a unique angle. The corner spot of the bedroom can feature a stylish floor lamp and a curio cabinet. The windows in the bedroom will be a part of the bedroom decoration if you can apply the rich furnishing. Use the bold tone for painting the window frames. Get guides on how to arrange a bedroom with a TV here. Do you like reading ideas on how to arrange a bedroom with a lot of windows?